Women on a Mission: Mom Edition: SnOw MUCH FUN! PENGUIN SHIRT! Mur-man was recently invited to a Penguin themed 1st birthday party celebrating everything SNOW! I can’t even believe it…NO SNOW…41 DEGREES IN NORTH DAKOTA TODAY! 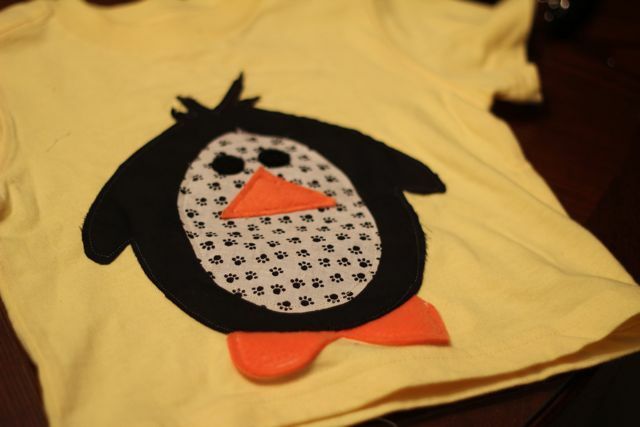 And so, in the spirit of Penguins…I thought I would create one of my appliqué shirts. 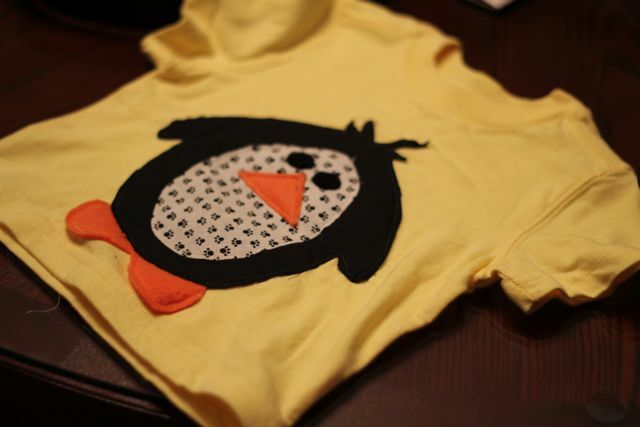 And I think it turned out adorable! I love it. And the best part was that all the fabric was already in my stash, so this project cost me next to nothing. You won’t even believe it but the fleece is still from Mur-Man’s super hero capes and Angry Birds. The white paw print came courtesy of the pet groomer (every time my Roger gets a hair cut…he gets a bandana. NO need to throw it out!) 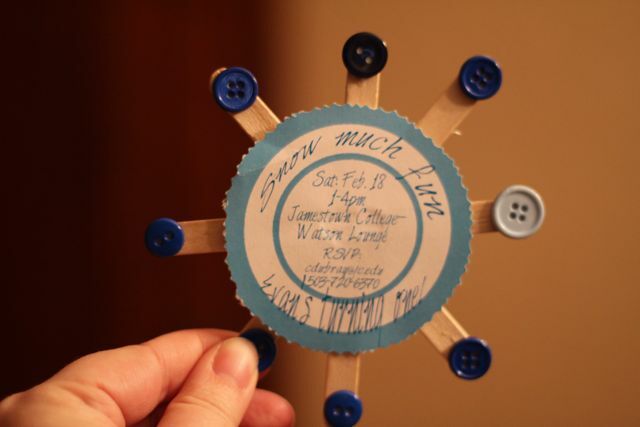 And the eyeballs were the backsides of Velcro circles (from a work project). I must say…I think it is SnOw CUTE!